Video dictionaries are hard to find. 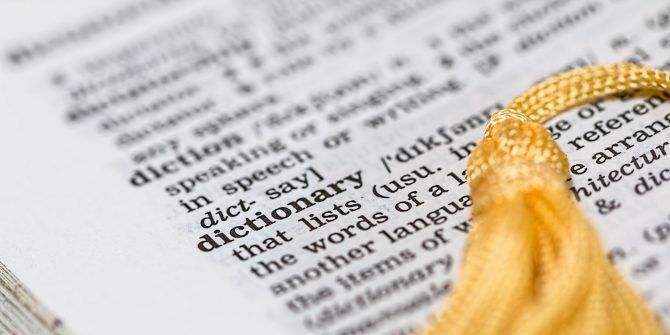 One reason is that the English language has more than 171,476 words in actual use. New words like “buggerlugs” and “loogie” and even “selfie” are added every day. Videos can be one of the more entertaining ways to learn a new language 5 Unusual Ways to Learn a Language on PC or Mobile 5 Unusual Ways to Learn a Language on PC or Mobile Learning a new language is hard work. But there are some apps and tools to make it easier. Read More . Especially, when you can dip into an infinite stockpile like YouTube. The right videos show you how English is used conversationally — and with correct pronunciations. So, in that sense, Divii is not a “video dictionary” in the strictest sense of the word. It does not give you the straight vocabulary definition of a word, but instead puts the word in context by showing you real-life video examples that use the word as intended. Understand the relevance of the word. Watch people using the word in everyday conversations and grasp the nuance of the meaning. Retain the meaning of the word. We are all visual learners who can remember a bit more of what we see in the videos than what we read. Sharpen listening skills. Learn a language by ear. The videos help you practice your listening skills. The culture behind the word. Understand the culture of the diaspora that speaks the English language. Let’s try the website with a relatively difficult word: panegyric. The video links to the exact section where the word is used. And then it continues to loop unless you turn it off with a click on the button in the Divii player. At best, you will learn the meaning. At worst, you will be interested enough to seek the meaning from a regular dictionary. Also, you can grasp how native speakers pronounce a word. Thanks to these videos, you can learn English with stories and examples. It can be a double dose of education if you catch a snippet from something like a TED Talk. Videos are an effective way to learn the right pronunciation and usage. It can be the best way to revive your interest in grammar. Try it out! Recommend it to someone who is anxious about their SAT, GRE, or TOEFL preparations. Tell us if learning English is fun when you have videos instead of a boring textbook. Do you know about any other video dictionary out there? Explore more about: Dictionary, Education Technology, .